Jebel el Hella (Darfur) is occupied by Colonel Kelly’s forces. 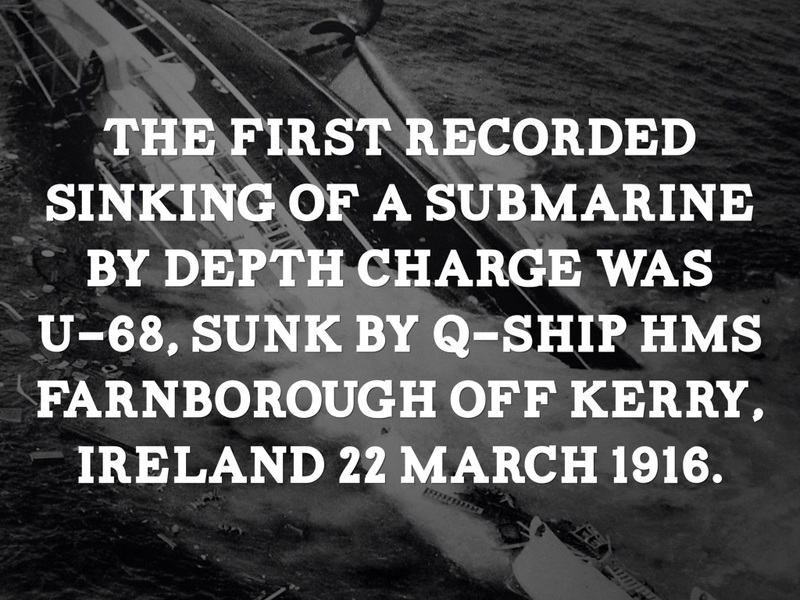 The Q-ship HMS Farnborough sinks the German submarine U-68 southwest of Ireland. Farnborough came into contact with SM U-68 off Britain’s west coast on 2 March 1916. At approximately 07:00, U-68 fired a torpedo at Farnborough that narrowly missed the ship’s bow. Farnborough continued the deception of being a merchant ship and continued at her same speed and course. At 07:20, U-68 surfaced about 1,000 yd (910 m) astern of Farnborough, moved to the ship’s port quarter, and fired a shot across the Q-ship’s bow. Farnborough stopped, blew off steam, and launched a boat to simulate a surrender. As U-68 closed to 800 yd (730 m), Farnborough raised the British White ensign, uncovered her guns and opened fire with three of her five 12-pounder guns. The British gunners scored several hits on the U-boat out of 21 rapidly fired rounds. As U-68 began to sink, Campbell steered Farnborough over U-68’s location and dropped a depth charge that blew the bow of the submarine out of the water. This was the first use of the depth charge in action. As U-68 began going down by the stern, Farnborough’s gunners scored another five hits on the U-boat’s conning tower. U-68 sank with the loss of all 38 men at position 51°54′N 10°53′WCoordinates: 51°54′N 10°53′W off Dingle in southern Ireland. Private George Alabit Lewis (Welsh Guards) is killed in action. He had been originally rejected as “unfit” and underwent an operation to render himself “fit”.